This was a busy week for must-know news in the world of social media. The major theme is that times are changing. Facebook, Twitter and Google are all working to transform. SnapChat continues to innovate. And, a classic man bites dog scenario is rolling out in mainstream media. Nearly 350 news organizations are publishing editorials on the same day to push back against Donald Trump’s attacks on the media and defending freedom of the press. Having a viable, independent news publishing industry if vital if PR pros are to do their jobs well. Snapchat has launched new augmented reality (AR) Lenses that respond to voice commands. Similar to saying “Alexa” to activate the Amazon Echo or “Ok Google” to activate Google Assistant, these Lenses require activation words such as “hi” or “wow” to animate. This new feature is sure to boost engagement for brands’ sponsored Lenses. 3. Will YouTube overtake Facebook on the web? Facebook’s recent drop of about 2.8 billion monthly visits means that YouTube is poised to replace it as the world’s Number 2 most-visited website. That gives Google the two top spots. It’s proof that dramatic changes are afoot in the social media environment. Jack Dorsey said he is rethinking core parts Twitter to fight the spread of hate, harassment and fake news. The company is experimenting with features that would promote alternative viewpoints, address misinformation and reduce the echo chambers. This is good news for the quality of discourse on Twitter. Google’s August algorithm update has had a big impact on search results, especially for websites focused on the sensitive subjects of health and finance. The gains and losses in visibility of up to 28 per cent stem from Google’s stronger focus on E-A-T considerations. Expertise, Authoritative and Trustworthiness of content are more important than ever before. 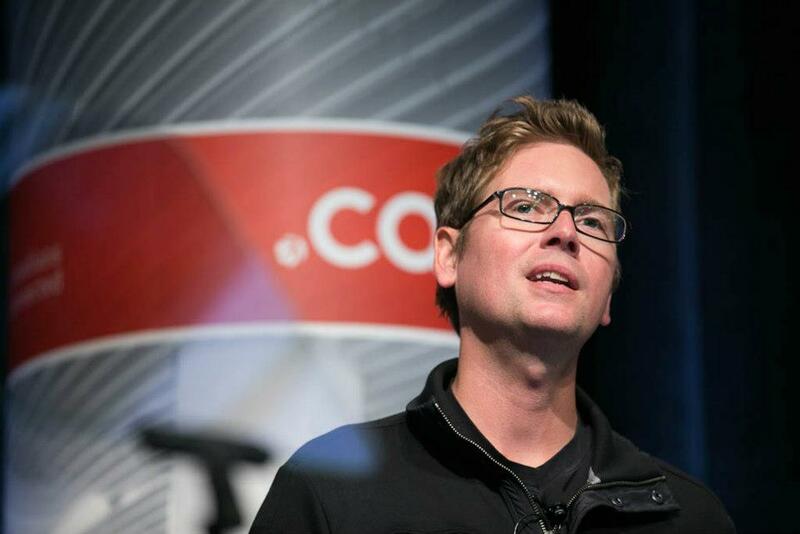 This week CIRA*, the organization behind the .ca domain, held its annual general meeting and symposium in Ottawa, and Twitter co-founder Biz Stone was the closing keynote speaker. He told the crowd made up of Internet geeks, social media enthusiasts and business professionals about how Twitter was born in 2006. At the time his business associates weren’t convinced of the usefulness of a tool that would let friends communicate through only short text messages. They said the idea was too simple. Biz Stone remembers looking at a weekly traffic report one day and noticing a huge spike for a particular day. He was shocked to discover the sole reason for the spike what that on that day, the site hadn’t crashed even once. Soon Twitter came to the attention of Facebook’s Mark Zuckerberg who offered Biz and co-founder Jack Dorsey $500 million for the company, which was at the time valued at $25 million. They turned the offer down. (Editor’s note: I’d have taken the cash!). And the rest, as they say, is history. Twitter is now one of the world’s top three social networks and is used by people from all walks of life from the President of the United States of America, to major Hollywood celebrities, to revolutionaries and freedom fighters around the world to children and senior citizens. It is transforming the global media and publishing industries and turns ordinary people into philanthropists. Two items of note about Biz Stone’s speech. Firstly, the man speaks in 140 character tweetable sound bites. And for those who can’t get their thumbs going quickly enough to keep up, he posts the expected tweet on his presentation slide. This tactic proved to be highly effective as seen in these Storified tweets. Secondly, much to the embarrassment of the audience, a couple of people felt it was appropriate to use the Q&A for user support issues. I guess there’s always the risk wherever Biz speaks, but it seems a great waste of an opportunity with so little time was left for Biz to take questions. *Full disclosure: CIRA is client of Thornley Fallis Communications.